Boxer, my current and all-time favorite iOS e-mail client, has now added Sanebox to its list of features. Sanebox, if you don’t know it, is a service that weeds out the crap from your e-mail inbox and presses it into a solid nugget that can be easily disposed of, after you’ve picked it over for anything good. And you can now try it out without signing up, right inside Boxer itself. 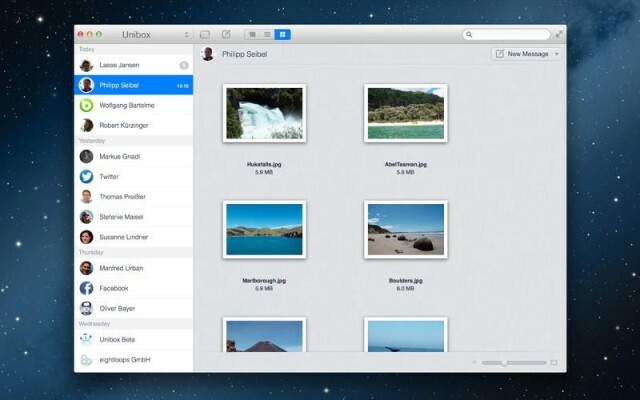 There’s another new e-mail app available now for OS X, and it takes a different approach to your usual e-mail clients. It’s called Unibox, and it focusses on people, not messages. Mailbox, the miracle mashup of mail and to-do lists, has just seen the first fruit of its Dropbox ownership – Dropbox Attachments. Thought the release notes don’t make a big deal of this at all – they read “Dropbox attachments integration,” and there’s not even a new screenshot to show it – it’s actually a pretty great new feature. 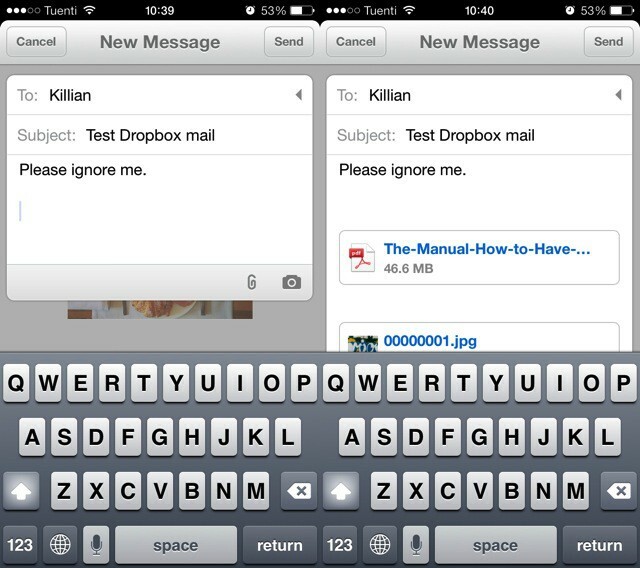 I’m completely reliant on Mailbox for my mail processing now: it’s just so easy to swipe and tap my way to an empty inbox that I prefer using my iPhone over the iPad or even the Mac to get things done (the iPad version of Mailbox is plain terrible, with a janky layout and tiny tiny body text for many messages). But iPhone mail newcomer Ninja Mail might usurp Mailbox’s place in my daily e-mail “workflow.” No, it can’t file things for later, or even send the messages to folders. 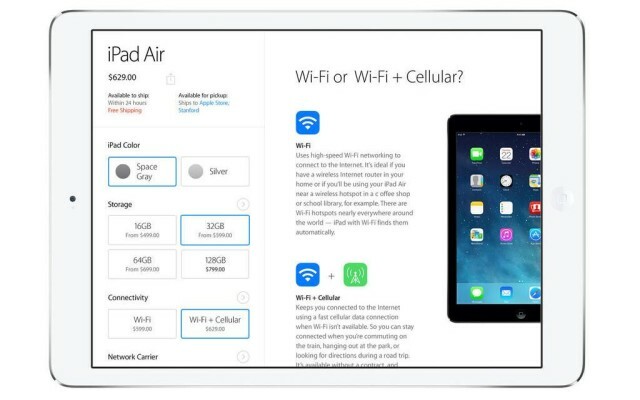 But it has one thing that makes it amazing fun to use: Swishing sword sounds that accompany every swipe. Dispatch is the iPhone e-mail client I have been looking for for years. It’s kind of like Drafts for email, only in reverse – the emails come in from pretty much any service you like, then you quickly triage them. 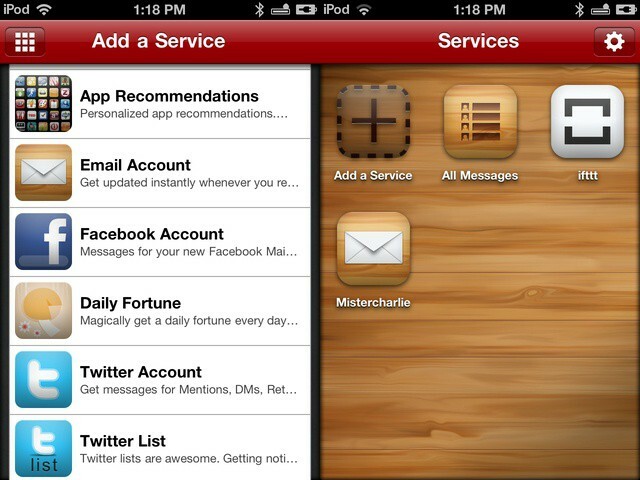 Then, you send the results off to another app or service on your iPhone. The problem with inboxes isn’t just that the mail piles up in them. Without constant vigilance, inboxes fester. That message you meant to get back to gets buried in a pile of PR pitches, or deal mailers, or unsolicited spam, until the prospect of doing something as simple as writing back to an email from a week ago becomes as onerous a task as snorkeling in a sewage tank. In a day and age where walking away from a computer for just a few hours can result in dozens of emails piling up, all of which have different priorities, email has undergone a horrible mutagenic transformation in the minds of most users: from a supremely useful communication tool to a digital black hole where information, once trapped, inescapably leaves the universe forever. 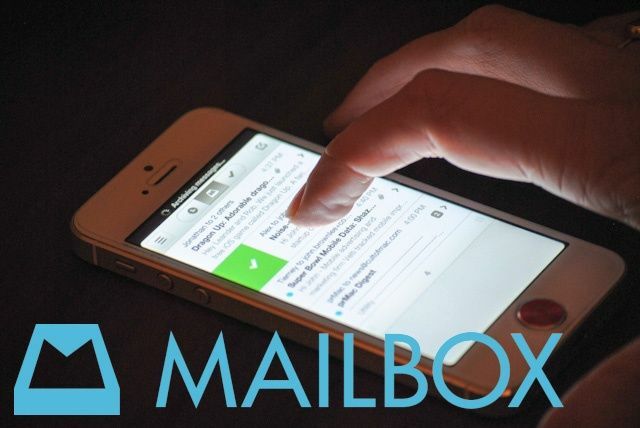 The idea behind Orchestra’s new iOS emailing app, Mailbox, is simple. As we know, inboxes fester without constant vigilance… so why not make remaining vigilant as easy and satisfying as ticking off items on a to-do list? 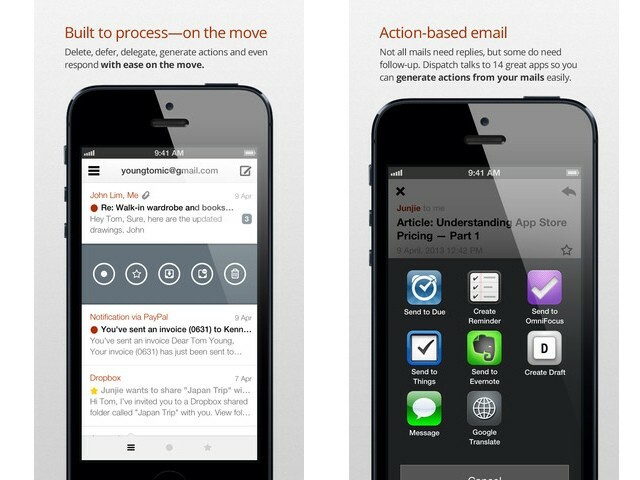 That’s what Mailbox is in a nut shell: an app that takes the GTD ethos and gesture-based interface of an app like Clear and applies it to your inbox. How well does it work? So well that we’re comfortable saying that if you get any volume of email, Mailbox is worth throwing any other iOS email client in the trash. It’s finally here! Mailbox — the incredible new e-mail client from Orchesta, that is one part Sparrow and one part Clear — has finally dropped on the iTunes App Store after months of buzz. And boy, is it worth it. 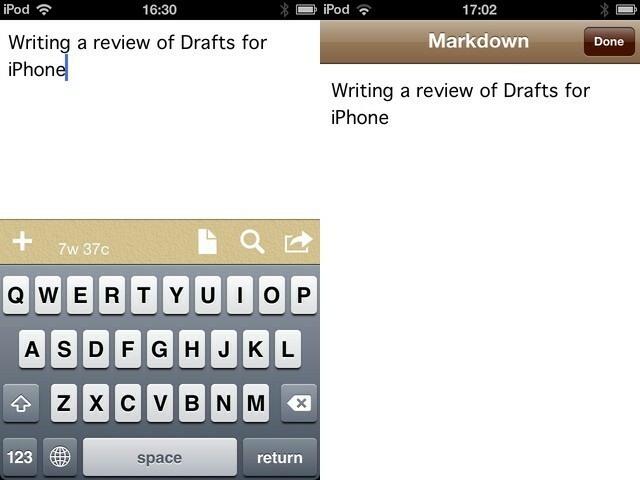 Sparrow for iPhone is great. And I mean hands-down, why-the-hell-isn’t-Apple’s-mail-app-this-good? kind of way. I like it so much, in fact, that I am even using it pixel-doubled on my iPad. But there’s just one problem: no push, and no notifications. To enable local notifications, Sparrow would have to store your e-mail login details on its servers, and deal with all the responsibility that that brings. The first version of Sparrow for iPhone included a clever workaround to let it poll for mail in the background, but Apple crashed its ban-hammer down on this wrongful use of the network event APIs. But there’s a workaround, using the excellent BoxCar app and some simple setting up of your Gmail account.